People wanting careers in the Georgia hospitality industry will benefit from a list of Hospitality Degrees in Georgia. Because Georgia economy depends heavily upon tourism and hospitality, these colleges have excellent hospitality management programs. Most are sixty credit hours or more and require internships. Many of the schools, though, are located in metropolitan areas where the opportunity not only for the internships but for continued employment exists. Most of the schools listed below are technical colleges; they are focused on occupation-based education to help students get employed and not on “gateway” classes to move them on to higher education. This school is named for the founder of the Days Inn Hotel Chain. The goal of the Cecil B. Day School is to prepare students for positions of leadership in the hospitality industry. The school is accredited by the Accreditation Commission for Programs in Hospitality Administration. The Journal of Hospitality and Tourism Education ranked the school in its top twenty-five programs. In addition, it is the only dual accredited hospitality program in Georgia. One unique aspect of the Cecil B. Day School of hospitality Administration is its “Maymester” program which offers a fifteen-day European study experience in Morocco, France, Italy, Switzerland and Germany. This degree includes general education classes in liberal arts. In addition, there are twenty-one required semester hours in core hospitality classes and electives. Because the accrediting organization for the school requires all hospitality majors to have more than one specialty, the electives are an important component of the degree program. 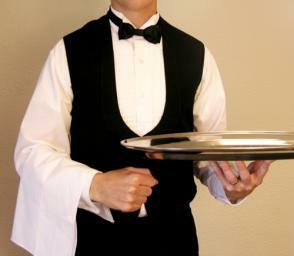 Hospitality majors are required to select at least one elective from business courses and the school suggests that the hospitality major be paired with a business major like marketing or finance to broaden career opportunities. Four hundred hours of work experience are required for graduation. At the completion of the requisite, all students must take a non-credit class in which their work experience is graded (pass or no-pass) and a portfolio of work experience is built. This school boasts that its tuition is affordable and its classes are small. The class schedules are set to be convenient as well. It is accredited by the Southern Association of Colleges and Schools Commission on Colleges and the American Culinary Federation Educational Foundation. Upon graduation, the school awards the American Culinary Federation Certification. With two additional years of study after the associate degree in hospitality management, students may earn a bachelor’s degree in business administration. The C.H.E.F. organization (Culinary and Hospitality Educational fellowship) hosts competitions including the “Shrimp and Grits Festival:” on Jekyll island. The degree has another option: The Associate Degree in Hospitality Management—Culinary Arts. These are career associate degrees which mean that, although they can be used to go on to a four-year-degree, that is not the goal of the course. The goal is to prepare students to obtain and keep hospitality jobs and to advance in the career. The huge number of hotels and restaurants in the metropolitan area, with which the school has partnerships, afford ample work experience for students. The degree requires general education classes in social sciences, natural sciences and math, English composition and communication and in the humanities and fine arts. The core career classes feature an emphasis on business skills as well as gaining competency in hospitality industry courses. There is a required capstone project at the conclusion of the program. Tuition is $4238 annually for in-state students and $12,096 for out-of-state students, excluding room and board and fees. This school is part of the Georgia System of Technical Colleges and offers both traditional and distance learning, although all classes are not available in the online format. It is accredited by the Southern Association of Colleges and Schools Commission on Colleges. The programs stress theory and practical experience. The college goal is to train students to acquire a position, to stay employed and to get promotions in their careers. Central Georgia technical College offers associate degrees and diplomas in career studies. This is a sixty-credit hour degree, of which the first fifteen credit hours are general liberal arts classes in English composition and literature, natural sciences and math, behavioral or social sciences and fine arts. There are forty-five core classes in the occupational major plus electives and an internship. Core classes include introduction to computers, the geography of tourism, introduction to hotel and restaurant management and management of food and beverage service among other targeted courses. The electives help tailor the degree to the desired career, whether is in the culinary area or in the management vein. This class is offered only on the Macon campus, but students may start classes at the beginning of any semester. The tuition is $85 per credit hour. The college guarantees to retrain any student who (within two years of graduation) cannot pass the licensing exam. Gwinnett Technical College started twenty-five years ago. It offers more than fifty programs, including degrees (two-year programs), certificates (which take about eighteen months to complete) and diplomas (which can be finished in under a year. Courses are intended to equip a student to get a position in a specific occupation. The school is accredited by the Southern Association of Colleges and Schools Commission on Colleges. The school guarantees that if a graduate of a standard program shows deficiencies within two years of graduation the school will retrain the student at no charge to the employer or the employee. This degree is intended to help students begin successful careers in the hospitality industry, which is the number one industry in Atlanta, and the second largest in Georgia. The course stresses customer satisfaction as the core to hospitality management, and teaches customer service skills at all program levels. The program is sixty credit hours, six semesters minimum. There are fifteen hours of general education along with forty-five credit hours of core classes and electives. Of the electives, fifteen credits are required for graduation. Examples of the classes in this course are: “Hospitality Law,” “Hospitality Marketing,” “hotel operations Management” and “Events Planning.” In –state tuition for fifteen credits is $1605 per semester and for out-of-state students it is $2880. In addition, there are fees and other expenses. The goal of the school is to teach the skills along with values and work ethic to allow students to get jobs in the industry, to remain employed and to attain advancement. It also offers an opportunity for those currently employed in the hospitality business to upgrade their skills. The school offers more than 120 programs of study. More than 95 percent of Atlanta technical College graduates are either employed or seeking higher education. The school is accredited by the Southern Association of Colleges and Schools Commission on Colleges. In 2007, the Washington Monthly named the school America’s Best Community College. This degree path is eighty-seven contact hours long. Classes include twenty-one credit hours of general education courses in language arts and communication, social behavioral sciences, natural sciences and math and fine arts/humanities. Core technical classes include accounting, keyboard instruction, classes in marketing, operations and other classes germane to the industry. In addition, there is an internship near the completion of the degree program. Students must maintain a 2.0 grade point average to graduate. Some of the classes are offered online; many are hybrid, with some components offered online and some in traditional form. The in-state tuition for Atlanta Technical College is $85 per credit hour. Out-of-state tuition is calculated at twice the in-state rate. There are also fees like parking permits, accident insurance, registration and activity fees. Albany Technical College was formerly Monroe-Area Vocational-Technical School. The website says it “provides learning opportunities which introduce, develop and reinforce academic and occupational knowledge, skills and attitudes required for job acquisition, retention and advancement.” The primary goal of the institution is to train students for good-paying jobs in the hospitality management field. Some of the classes are available through the school’s “E-Learn” program online. The school is accredited by the Southern Association for Colleges and Schools Commission on Colleges. Like some other Georgia technical colleges, it offers a guarantee of competency for its students. This is a sixty-hour degree program. Classes must be taken in general education areas of math and natural sciences, behavioral sciences and language arts. In addition, one elective must be chosen from fine arts. There are ten required occupational courses and students must choose at least fifteen credits from elective courses to build a specialization area. Some of the classes may be offered online but, to enter that program, students must take a placement test and there are minimum accepted scores. The tuition is $85 per credit hour for part-time students and $1275 a semester for full-time students. The school estimates tuition and other costs (Cost of Attending) including fees and residence costs, transportation costs and books and materials. That amount is arrived at online, and used to figure financial aid. The Ogeechee Technical College was founded as a public, two-year college in 1986. It is accredited by the Commission of the Council on Occupational; Education. The school is also a candidate for accreditation by the Southern Association of Colleges and Schools Commission on Colleges. It is supervised by the Office of Institutional Effectiveness, which monitors the planning, implementation and the assessment of programs as well as the value and quality of the education. This degree program is operated on the semester system and requires sixty semester credit hours to graduate. Applicants to the program must have satisfactory scores on the SAT, ACT or other placement test as described on the website. The course includes general education classes in the liberal arts, and students can register for these classes in any semester. Occupational classes, however, may only be started in the spring or fall semesters. There is a minimum of 1013 contact hours required for graduation, and most students complete the degree in five semesters. There are fifteen required semester credits in general education classes and forty-five in occupational classes, including an internship. Tuition is $6615 plus book costs and other fees of $1800. Upon graduation, all students must take the National Occupational Competency Institute Test. Columbus Technical College is accredited by the Southern Association of Colleges and Schools Commission on Colleges. In 2010, the job placement rate was 95 percent and 76 percent in their chosen field. The school endeavors to educate students to get positions in business, and to keep their jobs in a competitive world. In addition, however, students are graded on work ethic and attitude, like appearance respect and teamwork. The school also guarantees that any student who demonstrates lack of competence in one or more areas of their major will be retrained at no charge to the employer. This degree is designed for students who want to get a career in the hospitality area or who want to refine their occupational skills. Applicants to the program must complete placement tests or display a high school transcript with a “C” average. The degree program is 61 semester credit hours. Fifteen of those are general education classes in math, sciences, language arts and the humanities. There are forty-eight hours of occupational classes and also electives. Nearing completion of the degree, there is an internship which touches on event planning that focus on marketing, budgets, agendas and contracts. In-state tuition is $1529 per semester. Tuition for out-of-state students is $2804. In addition, the college waives tuition for full-time students over sixty-two years of age. This list of hospitality programs is intended to give general information to prospective students. The individual schools operate valuable websites with more specific details for Hospitality Degrees in Georgia.